After the amazing success of Wonder Woman, Gal Gadot now has a lot more industry clout, and she's using it to take a stand against the sexual predatory behavior that has been revealed all over Hollywood. 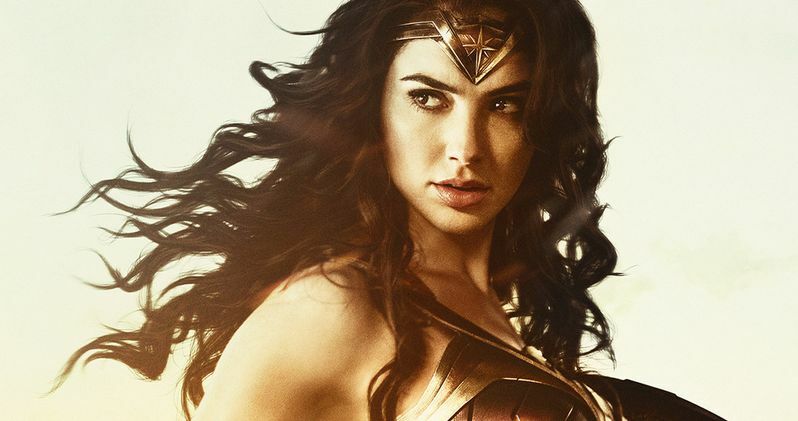 A new report reveals that Gal Gadot is refusing to return to star in Wonder Woman 2 unless Brett Ratner and his Ratpac Entertainment company are completely removed from the sequel. This comes just days after Brett Ratner was accused of sexual misconduct, which lead to Gal Gadot pulling out of a dinner honoring Brett Ratner. Here's what a source had to say about Gal Gadot and her moral principles, along with Brett Ratner's financing deal with Warner Bros.
"Brett made a lot of money from the success of Wonder Woman, thanks to his company having helped finance the first movie. Now Gadot is saying she won't sign for the sequel unless Warner Bros. buys Brett out [of his financing deal] and gets rid of him. She's tough and stands by her principles. She also knows the best way to hit people like Brett Ratner is in the wallet. She also knows that Warner Bros. has to side with her on this issue as it develops. They can't have a movie rooted in women's empowerment being part-financed by a man ­accused of sexual misconduct against women." Warner Bros. has already announced that they are cutting all ties with Brett Ratner after sexual harassment allegations were leveled against him by actresses Olivia Munn and Natasha Henstridge. As for the report that Gal Gadot will only star in the Wonder Woman sequel if Brett Ratner and his Ratpac Entertainment company are excised from the movie, Warner Bros.' would only state that the report is, "False," while reps for Gal Gadot and Brett Ratner refused to comment on the story. Even if the story is false, it was already reported that Warner Bros. has cut all ties with Brett Ratner, so it may be a moot point. Still, its impressive to see Gal Gadot take a stand for a cause she believes in so deeply. Wonder Woman has become one of the year's biggest box office hits, taking in $412.5 million domestic, the second best tally this year, and $821.8 million worldwide, the seventh best globally. The movie had a solid debut with $103.2 million, but the movie posted minimal decreases throughout its run, with the opening weekend only accounting for a quarter of its domestic haul. It wouldn't be surprising to see the sequel have an even bigger impact on the box office, perhaps even pushing past the $1 billion worldwide plateau, which no DCEU movie has yet to do at this time. The last we heard about this sequel was last month, when it was revealed that Wonder Woman 2 starts shooting in summer 2018, with the sequel said to be a period piece, with Princess Diana facing off against the Soviet Union during the 1980s. This would allow the production to bring back Chris Pine as Steve Trevor, who will likely have to be aged up quite a bit since he would be a much older man in this sequel. You can visit Page Six for their full report on Gal Gadot and Wonder Woman 2.